In the July sunshine, we are nursing cups of cold beer and jostling to keep our prime position on the pavement. A band of Bolivian cholitas, ranging from their teens to in their autumn years, dance past us as their jangling silver skirts swishing in sync. A rowdy group of semi-naked dancers follows, separated only by a truck blasting some form of dubstep reggae; glistening in sweat, they break into a warrior-like routine to the pumping soundtrack of bass and static facing various-sized flags of their ancestor's homeland dangling from the truck. A walk around the corner, squeezing through the crowds of every country and no country in particular, we find a group with costumes straight out of Wakanda dancing to joyous steel drum beats, as children look up in awe and start to follow the innate urge to free their limbs and dance. Young dance with old, generations mingle, colour is everywhere. The crowd's largest cheer swells up, along with everyone's rapt gazes, for the buxom gold-painted woman in a bikini, striding and shimmering atop a platform like a Renaissance statue, as she underlines to all that though she may not be the Queen of this day, she is certainly twerking royalty and we are her loyal subjects. This isn’t what many people think of when it comes to a summer Saturday in Rotterdam, and that’s because one of Europe’s biggest free street festivals has been this port city’s little secret for far too long. However, ask any number of Dutch people where the best party in the Netherlands is in summer, and they’ll tell you exactly where to find it: ZomerCarnaval. The roots of how the sounds and sense of the Caribbean, with a sprinkling of South America, came to take over the centre of Netherlands' second largest city for a single summer say stem from 1984, when a group of students of Curaçao and Aruban descent (island countries which had previously formed part of the colonial ‘Netherlands Antilles’) wanted to celebrate carnival like they had back in the Caribbean. Over the next two decades, the street parade in the last weekend of July would grow and evolve into something bigger than anyone could have imagined - reaching over a million visitors at the 2005 . And the more the parade grew, the more that the character and characters of Rotterdam, a melting pot city of 178 different nationalities, came to be reflected in the diverse cast of thousands of dancers and dozens of floats which join each year to showcase cultural pride in extravagantly colourful costumes. As we’ve been based in London for a few years, our natural inclination was to compare ZomerCarnaval to August’s annual Notting Hill Carnival. Although smaller in size and length (there’s no children’s day parade for example), it certainly has a similar atmosphere and soul; stalls of world street food are set up, families and groups of friends camp out on the pavement and the entire area becomes immersed in the beats and atmosphere of an all-day street party. 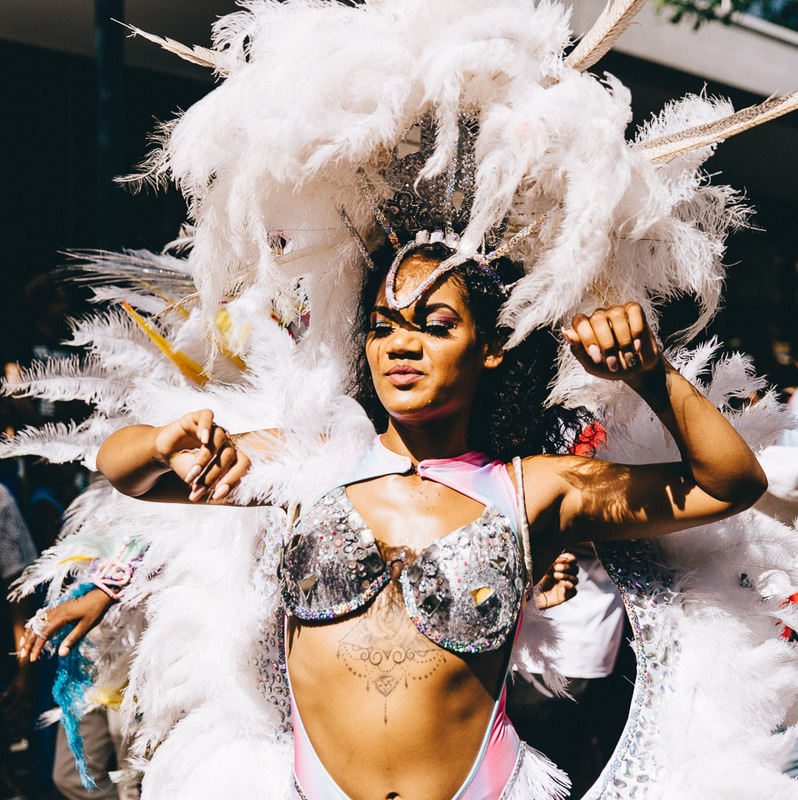 The main difference for us was that the Rotterdam Carnival, though Caribbean at its core, now incorporates more nationalities into the street parade, whilst Notting Hill remains closer to its more exclusively Caribbean origins. Changes in 2013 saw the street parade merge with five days of cultural and music events under the banner of the new ‘Rotterdam Unlimited’ festival. With rap battles, seminars, dance shows, a Friday-night battle of the drums, and free live concerts from a diverse set of international musicians, it's all part of Rotterdam's rise from the ashes of destruction in the 1940s into a word of mouth cultural capital in Europe; clogs and windmills are a million miles from here. Despite the changes and rebranding, it's clear that ZomerCarnaval and its dancers adorned in feathers, sequins and, often, very little else, remains the star of the show and another reason to add Rotterdam to your list of alternative European city break destinations. When | The festival takes place at the end of July each year, usually around the last weekend of the month. The main attractions of Rotterdam Unlimited (ZomerCarnaval, the Battle of Drums, the street food stalls, and the main concerts) run from the Friday to Saturday night. Where | The Festival and street parade (which covers 5 kilometres) are concentrated around the city centre of Rotterdam (see route map), and this part of the city is taken over on the Friday night and all-day Saturday - this means public transport is affected, but it's still pedestrian friendly. Cost | Rotterdam Unlimited is free to access for all. Outside of the central streets where the parade takes place, Rotterdam continues as normal and so if you want to spend only some of your day at the festival, then you city break can continue perfectly normally in other neigbourhoods; everything in the centre is back to normal by Sunday morning too. Accommodation | As hundreds of thousands descend upon Rotterdam for the weekend, it is recommended to book your accommodation as far in advance as possible. Safety | The atmosphere during our Friday and Saturday at Rotterdam Unlimited was friendly and fun. However, we were strongly advised by a handful of locals that we should take care after dark (and leave our cameras in the hotel), as there are usually some incidents on the Saturday night in particular. Transport | From the UK, Rotterdam is best accessed by a flight (less than 1 hour from London) or with the new direct Eurostar route. More Information | The full programme for Rotterdam Unlimited each year, alongside further details on dates, locations, and public transport, can be found on the official website. Have you been to this incredible Rotterdam Carnival before? Let us know in the comments!